Are you looking for a very relaxing and peaceful accomodation in Piacenza just a few steps away from the city centre? Il Cervo Hotel & Restaurant in Agazzano is the ideal place for you. 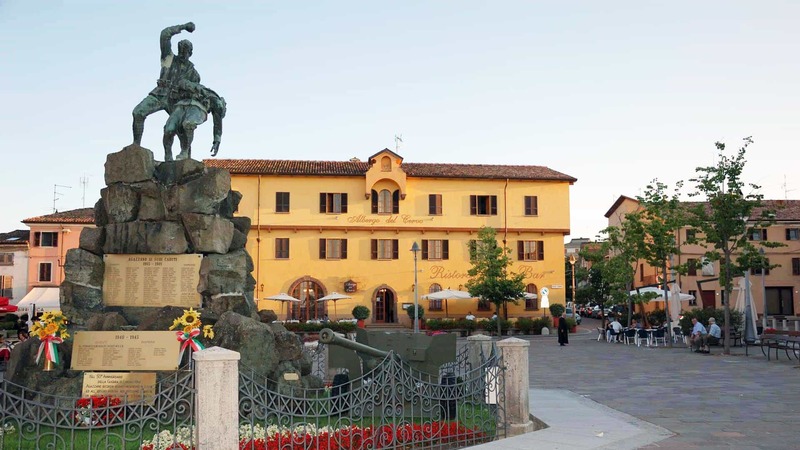 Located among the beautiful hills in Piacenza, here you can also find amazing routes for walking, cycling, horse riding, motorcycling routes and more. You can also soak in the Medieval historical context visiting the Agazzano’s Castle, the Rivalta’s Castle and the Boffalora’s Castle. All rooms include Free Wi-Fi. Flat-screen TV, air conditioning, landmark view, private bathroom and private parking. Are you looking for a very typical restaurant in Piacenza where you can taste the most delicious food? Come and see us at Il Cervo Hotel&Restaurant where tradition and innovation join. Starting with the typical cured meats such as the air-cured pork meat from Piacenza, salami, bacon, Parma’s raw ham, the famous tortelli pasta and the traditional pisarei and faso, up to the soups. Continuing with the food – tasting, we will offer you special meat dishes like a salmì of roe deer meat, the braised meat flavoured with Barolo wine and polenta, tripe, and mushrooms. Our best wines from the most prestigious winehouses will be served to enrich our Chef Alberto’s creativity.